Speculations over Congress leader Jitin Prasada joining BJP and contesting from Dhaurahra seat continues. 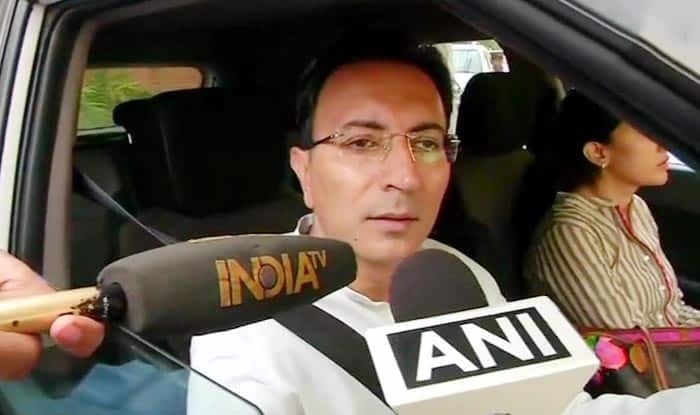 New Delhi: Congress leader Jitin Prasada said he will contest from Dhaurahra, stated reports. The Congress had announced Prasada’s name for Dhaurahra constituency earlier. As per reports, Prasada wishes to contest from Sitapur. Jitin Prasada is a key candidate in Uttar Pradesh as it faces the BJP and the alliance of Bahujan Samaj Party (BSP), Samajwadi Party and Rashtriya Lok Dal (RLD). The Congress on Friday released the 7th list containing names of 35 candidates for the Lok Sabha elections 2019. Uttar Pradesh Congress Committee (UPCC) chief Raj Babbar has been shifted to Fatehpur Sikri from Moradabad while Bahujan Samaj Party (BSP) chief Mayawati’s former aide Naseemuddin Siddiqui has been given a ticket from Bijnor.